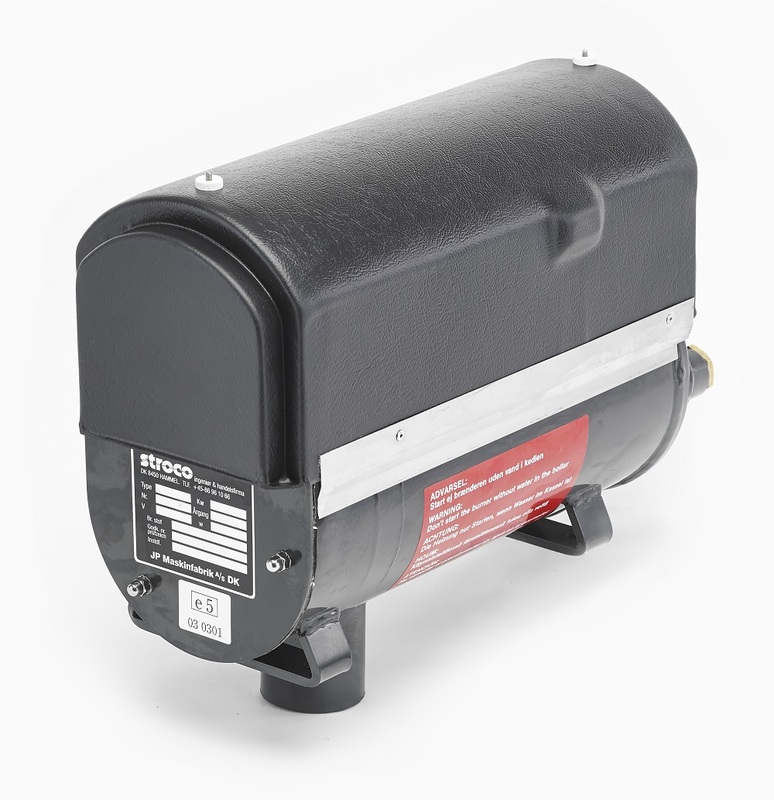 Stroco 15.00 M is a high-pressure heater with a stainless combustion chamber. It is supplied complete with a built-in circulation pump and automatic control with a low-volt relay and motor regulation. Full electronic automatic control is built in, with safety systems including flame monitoring with a photocell and a boil-over safety device which re-establishes contact if pressed lightly. STROCO 15.00 M has electric preheating of the nozzle as standard.